It's time to stash the heavy bedding and space heater and get your bedroom ready for warmer months. You'll probably store your heavy winter bedding in closets, the garage, or the attic. But for items you need year-round, like extra pillows or throw blankets, store them in baskets for easy access. In design editor Zim Loy's Kansas City, Missouri, house, the basket underneath the bedside table holds extra reading pillows. 2. 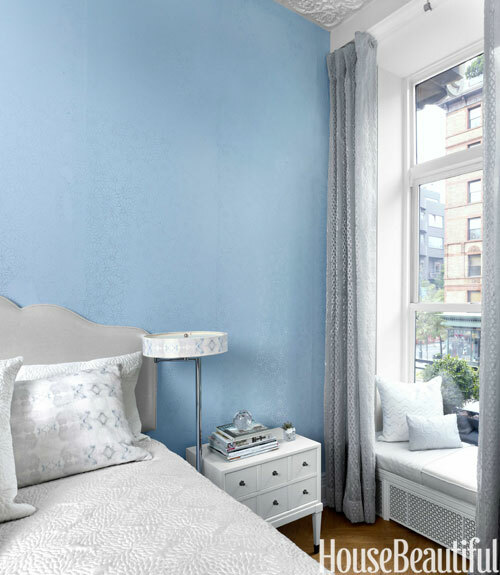 Use Curtains to Cleverly Conceal Curtains are a great way to hide "unsightly" things in your bedroom. Unfortunately, that doesn't mean you have free rein to use them to conceal a big mess of items haphazardly piled on top of each other - you still have to put in some organizing effort. 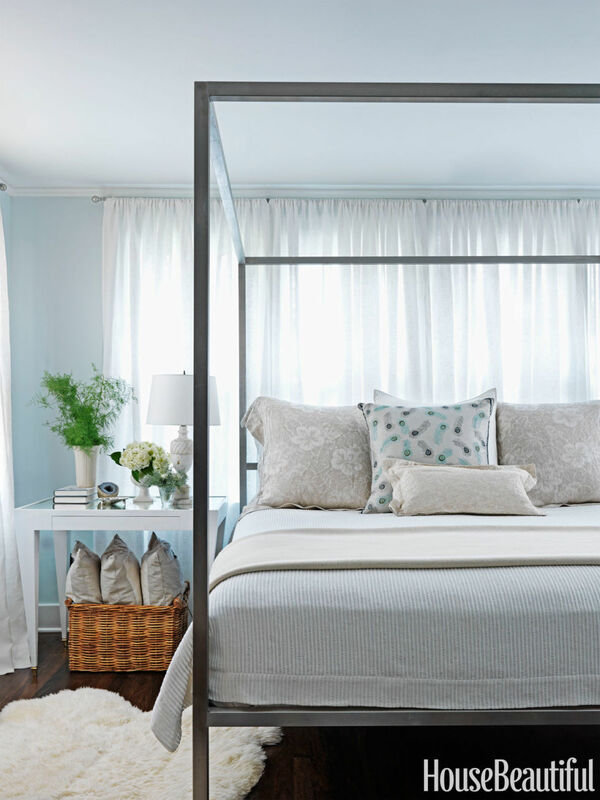 Here in designer Kelly Giesen's Manhattan bedroom, each curtain conceals a built-in bookcase. 3. 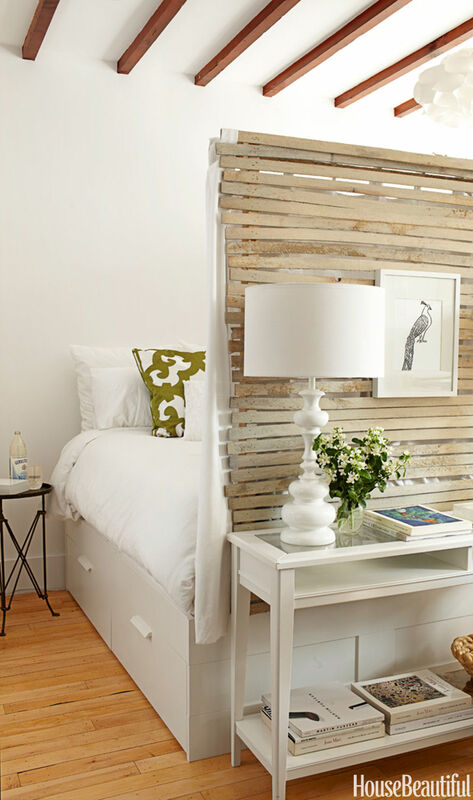 Think About the Foot of Your Bed Investing in a statement decor piece such as a trunk or a storage ottoman will add some personality to your room and provide an extra place to stash things. 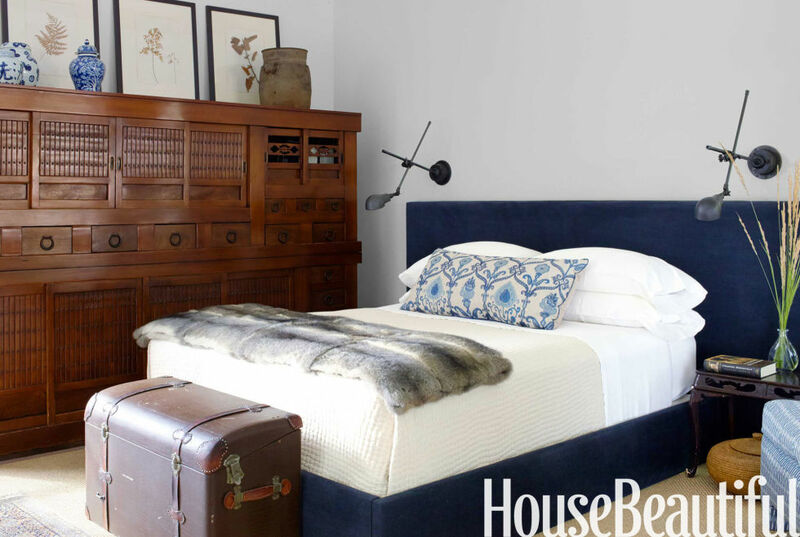 In this Sonoma, California, house, designer Rela Gleason placed a vintage "boot" trunk from an old English automobile at the foot of the bed. If you don't have enough floor space, why not hang some bookshelves? And they're not just for books - use them to display home accessories, store blankets or pillows, or even to hold toiletries like perfume bottles. 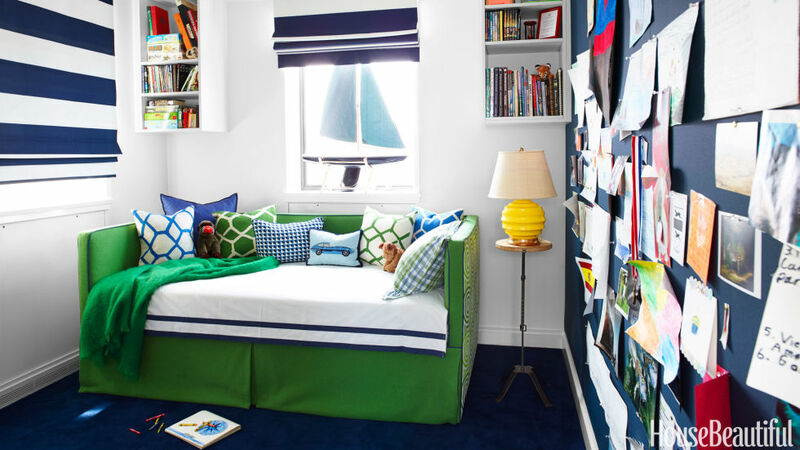 In this kid's Manhattan room designed by Amanda Nisbet, the shelves are used to store books and toys. 5. Look Under the Bed It's time to motivate yourself to tackle what's underneath your bed. Be honest, how many random items have you tossed there this past year? If you don't have built-in drawers like this bed in a Brooklyn studio apartment designed by Fitzhugh Carol and Lyndsey Caleo, purchase some boxes or storage bags for your clothes, bedding, and more. 6. Add Some Multipurpose Seating Whether it's at the foot of your bed or somewhere else in your bedroom, adding a bench or two is a smart idea, like in this Georgia house designed by Smith Hanes. It gives you a spot to get ready in the morning and you can stack books or other items on top. Bonus points if it comes with extra storage. 7. Go Behind Your Bed Who says your bed has to be pushed up against the wall? 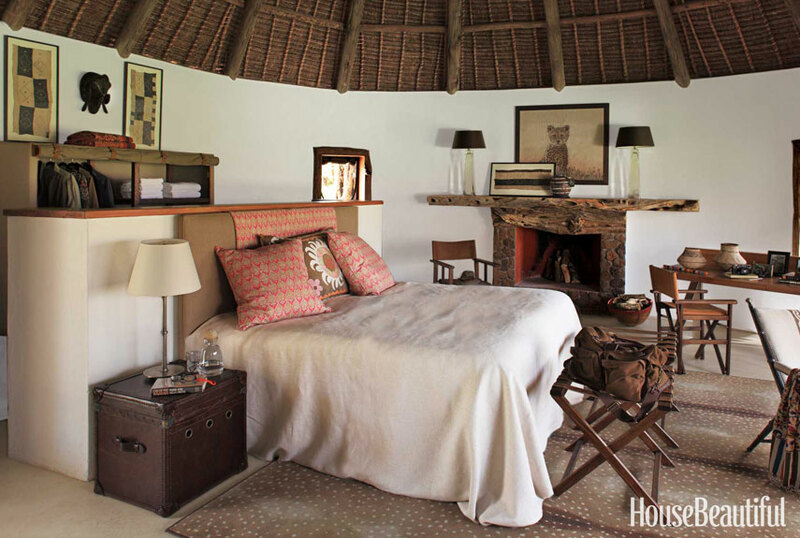 In this Kenya house, Suzanne Kasler tucked canvas wardrobes behind the headboard partition. Check out our worldwide VPN server locations including Russia, Singapore, USA, Schweden, France, Germany, Italy and many more! Cheap, reliable and instant access!